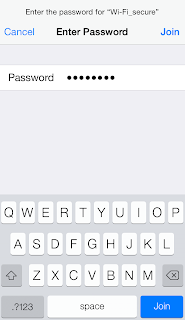 Tap one of the listed Password Protected networks and enter the password. If Wi-Fi icon appears at the top of the screen, you’re connected to a Wi-Fi network. iPhone reconnects anytime you return to the same location. 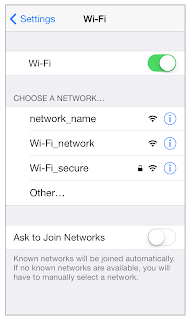 Turn on “Ask to Join Networks” to be prompted when a Wi-Fi network is available. Otherwise, you must manually join a network when a previously used network isn’t available. Tap Other, then enter the name of the closed network. You must already know the network name, security type, and password (if required). Tap button next to a network. You can set an HTTP proxy, define static network settings, turn on BootP, or renew the settings provided by a DHCP server. 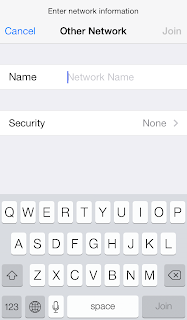 If you have an unconfigured AirPort base station turned on and within range, you can use iPhone to set it up. Go to Settings > Wi-Fi and look for “Set up an AirPort base station.” Tap your base station and the Setup Assistant will do the rest. 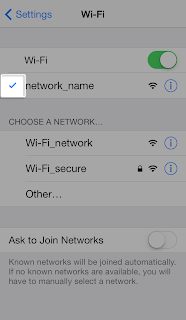 If iPhone is connected to an AirPort base station, go to Settings > Wi-Fi, tap the more info button next to the network name, then tap Manage this Network. If you haven’t yet downloaded AirPort Utility, tap OK to open the App Store and download it.